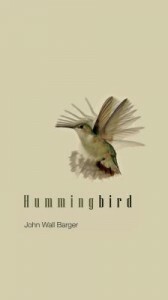 "Hummingbird" is a slightly deceptive yet beautiful collection that will fool the occasional reader by its initially dainty title and elegant cover. The back cover blurb was why I picked this one up, sold on the idea that the poems will explore the aggressive side of this unusual bird, at the same time including aspects of the definitions and associations from the various cultures that are mentioned in the summary. Barger didn't fail my expectations. From the opening poem "A Start", the reader is propelled into a fast track, survival-like pace of poetry that doesn't stop escalating, even though it slightly changes tactics around the third section. 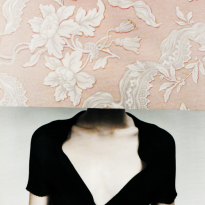 While these poems are quite simple in their expression, their willingness to bear their insides for examination by a total stranger are impressive. When references are made to people, cultural notions, or other sources, they are integrated so seamlessly that the jumps from the personal to the more "academic" realm is barely felt. This collection will take one both all around the world on the outside as well as the inside. Pay special attention the titular poem "Hummingbird" in this regard. Taking up 10 pages in the collection it is a literary feat and feels like jumping onto a roller coaster after having eaten too much candy - terrifying but oh so worth it. "Hummingbird" stands out in the sea of modern poetry both with its honesty and savage elegance, unforgiving yet simultaneously gentle on the wounds it inflicts in the first place.